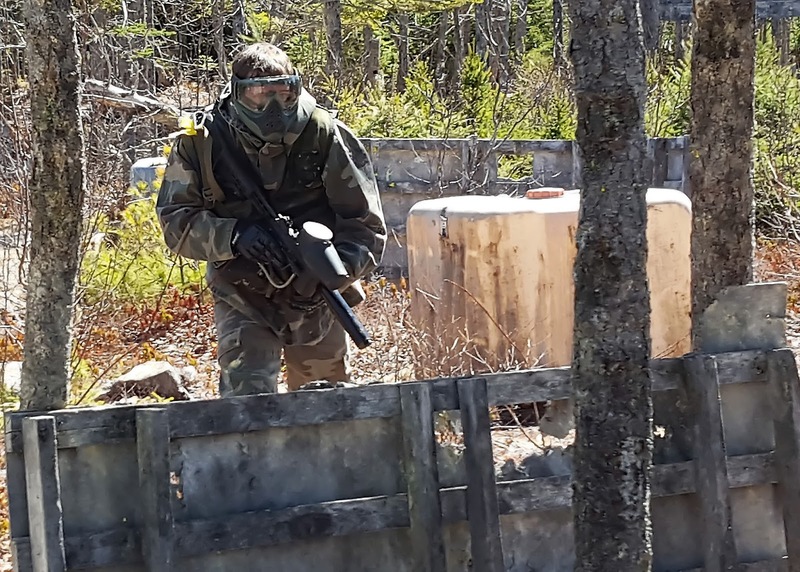 Friday April 14th marked the 20th year Mersey Road Paintball in East River, Nova Scotia has launched the Eastern Canadian paintball season, with the annual Black Friday woodsball game. Players from across the region came together for what many consider to be the unofficial start to the paintball season. Field owner Jim Langlois is amazed the game has carried on for 20 years. "The phone rang in the spring of 97." Langlois recalls, "A few of the local players had the day off work on Good Friday and were looking for something to do. I told them If they came out I'd open the field." That as it turned out was the first Black Friday event. Players of every experience level and from every style of play come out for Black Friday. This mix of players is what makes Black Friday special. Black Friday is one of the few events were a speedballer in a bright jersey and a rental player can bee seen battling a pump player and player in a ghillie suit. The relaxed casual nature is another aspect that makes Black Friday an event to attend. Players are more intent on shaking off the rust and having fun then winning. 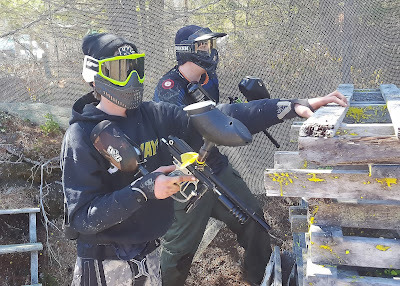 Throughout the day players could be heard excitedly telling tale of heroism on the field, laughing at each other's stories, and loving the sport of paintball. Field owner Langlois at times cannot believe how far things have come. Langlois Commented "It is amazing to think what started as 10 friends killing an afternoon has turned into an annual pilgrimage for hundreds of players." "As long as the players keep coming out, I will keep hosting the event." These last 20 years have been great. Mersey Road Paintball has proved to be Atlantic Canada's home of great paintball, at a great field with great players. I can't wait to see what the next 20 years has in store.